The Corpus of Anglo-Saxon Stone Sculpture (CASSS) is a highly acclaimed and long running project. Since its inception, the work of the project has involved identifying, recording and publishing, in a consistent format, all known surviving fragments of the earliest English sculpture dating from the 7th to the 11th centuries. Much of this material was unpublished before the work began, but now eleven volumes have been produced that catalogue, describe, date and fully illustrate sculptures from across England. Each regional catalogue is accompanied by a detailed discussion of the regional, national and often international context of these surviving monuments. These carved and inscribed stones are of crucial importance, pointing to the earliest settlements and artistic achievements of the Anglo-Saxon/Pre-Norman English. They range from our earliest Christian field monuments (free-standing carved crosses), and innovative decorative elements and furnishings of churches, to humble grave-markers. The project has involved the work of more than thirty researchers, including epigraphers and geologists, who are spread throughout the country. The British Academy is the publisher, and CASSS was one of its major research projects from 1981–1999. The project is led by Professor Rosemary Cramp and the main body of work on reading, editing and bringing the volumes to publication is undertaken by Professor Cramp and Dr Derek Craig, the project researcher, while Sarah Semple and Sarah Price work with the online publication of the catalogues. The project is advised by a committee of scholars appointed by the British Academy to monitor the publication programme. From 1999 to 2008 CASSS was the recipient of a series of major awards from the AHRC. Since 2008 funding has been generously provided by the Headley Trust, part of the Sainsbury Family's Charitable Trusts and the Pilgrim Trust. Volume X of the Corpus was published in 2012 and covers the western Midland counties of Gloucestershire, Herefordshire, Shropshire, Warwickshire and Worcestershire. Introductory chapters set the material within an historical, topographical, and art-historical context, and there are specialist contributions concerning the geology of the monuments and the analysis of ninth-century paint. Volume XI on Cornwall is much anticipated and is now in press – expected in the early spring of 2014. Since 2011 CASSS has been working to provide a refreshed website and once again provide the catalogues online as a searchable index. The second volume of the Corpus of Anglo-Saxon Stone Sculpture is now online. The resource includes all catalogue entries, with images, and the full text of the 13 specialised chapters that were included in the original printed volume. 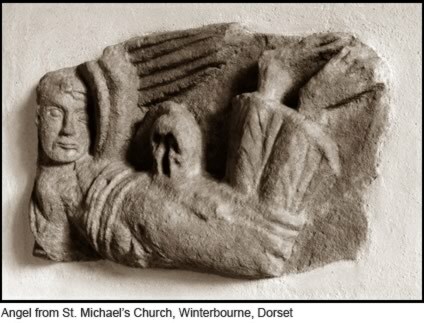 A reliable and comprehensive catalogue of Anglo-Saxon sculpture has long been needed, and the publications so far have been widely used by archaeologists, art historians, historians and place-name specialists, as well as interested non-specialists. We welcome queries, or information concerning new discoveries of this material, and can provide copies of photographs in published volumes where the copyright is held in Durham.